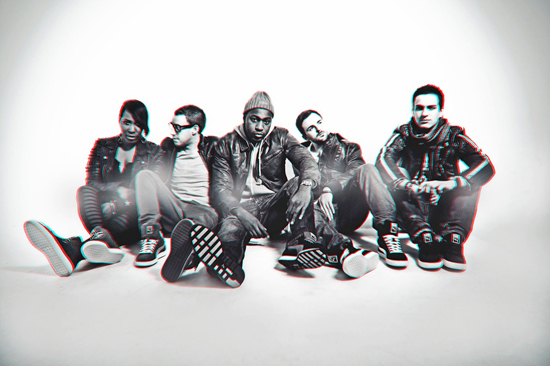 The Stow is a Hip Hop/ Indie / Pop group formed in the year 2009.It was formed when five artistes union i.e. Haydn, Young, Matt, Dave and Gus united. Through hard work and proper talent utilisation, the five band members were able to create content that was perceived as appealing by their audience. The constancy in the band’s productions saw them become a big hit not only in their hometown, London, but also in the rest of the UK, and other parts of the world. Haydn’s role as the vocalist in the group is quite paramount. The group boasts of the talent Haydn possesses, a thing which can be clearly depicted in the utter perfection in which he gets to perform songs from all genres. Haydn was born in Mile End and moved down to Walthamstow when he was about 8, where he has lived ever since. Shi also stands as a crucial band member by teaming up with Haydn as a vocalist. Her talent has also been a crucial element in the group’s ascent to fame by his being able to maintain his bravado through all performances. What’s a band without a guitarist? Matt is a perfect answer to that question in the context of their band, the Stow. His skills on the guitar strings are simply superb, a thing that always leaves his audience awed. Then there’s Dave the guy behind the bass. A band can truly not survive without one, and he has made that clear with every instance he has to display his skill to his audience. The drum sets are under the control of one super skilled Gus who has managed to keep the band’s profile at a constant top every time he gets holds of the drum sticks. The group bases its uniqueness on the cross pollination of genres, which they combine with enthusiasm in all the performances of their catchy songs to get the crowds thrilled. Their performances at Barfly Camden and HMV Hammersmith Apollo are two perfect examples of the times in which the group has left the crowd totally gone. The band has had the support of internationally renowned artists including Jessie J, Rizzle Kicks and Maverick Sabre.